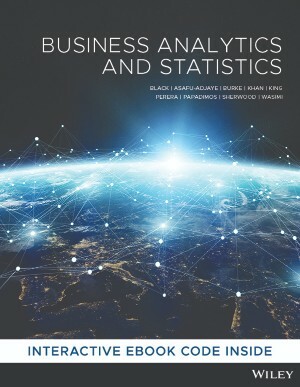 Written for the Australian and New Zealand markets, the first edition of Business Analytics & Statistics (Black et al.) 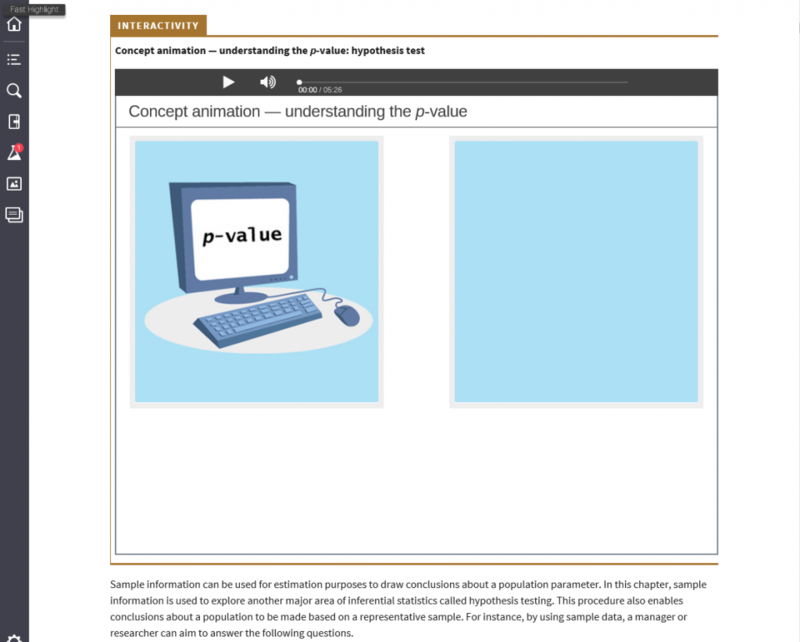 presents statistics in a cutting-edge interactive digital format designed to motivate students by taking the road blocks out of self-study and to facilitate mastery through drill-and-skill practice. Insights from business practitioners including video cases, highlights the relevance of statistics in business. 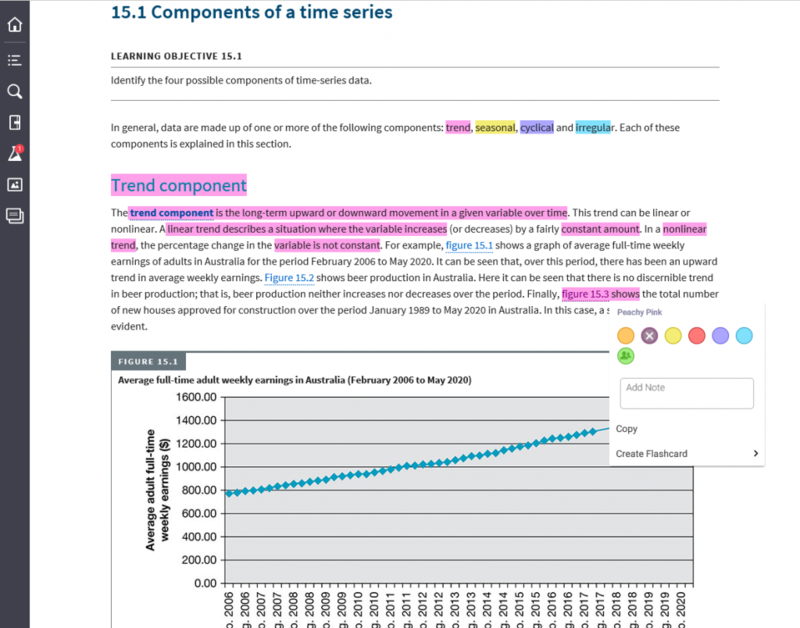 The WileyPLUS homework and assessment tool delivers drill-and-skill practice and secure assessment. Students can switch between reading something tangible and studying with the online (or offline) learning resources. Ken Black is Professor of Decision Sciences in the School of Business and Public Administration at the University of Houston–Clear Lake. He earned a Bachelor of Arts in mathematics from Graceland College; a Master of Arts in mathematics education from the University of Texas at El Paso; a Doctor of Philosophy in business administration in management science; and a Doctor of Philosophy in educational research from the University of North Texas. Ken has taught all levels of statistics courses: forecasting, management science, market research and production/operations management. John Asafu-Adjaye is an Associate Professor in the School of Economics at the University of Queensland (UQ). He obtained a Bachelor of Science (Honours) in agricultural economics from the University of Ghana and then earned a Master of Science in operations research from the Aston Business School, UK. He completed a Doctor of Philosophy in natural resource economics at the University of Alberta, Edmonton, Canada. His research activities include policy analysis of economic and development issues in Africa and the Asia–Pacific region. Paul Burke is an Associate Professor and Deputy Head of Education in the Department of Marketing at the University of Technology Sydney (UTS). He is also Deputy Director of UTS’ Business Intelligence and Data Analytics (BIDA) Research Centre. Paul obtained a Bachelor of Economics (First Class Honours in Marketing) from the University of Sydney. He holds a Doctor of Philosophy and Graduate Certificate in Higher Education Teaching & Learning from UTS. His research interests are in choice modelling, experimental design and consumer behaviour applied in the fields of education, ethical consumerism and innovation. Nelson Perera is an Associate Professor and Head of the school of Accounting, Economics and Finance at the University of Wollongong. Nelson earned a Bachelor of Science (first class) from the University of Sri Lanka, a Master of Commerce (honours) from the University of Wollongong and a Doctor of Philosophy in economics from La Trobe University. Nelson’s main research interests are in the fields of monetary policy, applied econometrics, business analytics, and application of statistics to business area. Carl Sherwood is a Lecturer in the School of Economics at the University of Queensland. He obtained a Bachelor of Engineering (Civil), Master of Business Administration (MBA) and a Graduate Certificate in Higher Education from the University of Queensland. With twenty years of professional experience as an engineer, Carl has crafted his teaching by capturing this wealth of business experience to make courses relevant to students. One of Carl’s areas of research centres on exploring how statistics can be made more meaningful, practical and engaging for students. Saleh A Wasimi is an Associate Professor and Campus Leader at Central Queensland University, Melbourne, Australia. He earned his Doctor of Philosophy degree from the University of Iowa, USA and his Masters and Bachelor degrees in water resources engineering from Bangladesh University of Engineering & Technology, Dhaka. Saleh’s current research interests include climate change, stochastic processes, optimisation, water resources planning and development, and hydrology. 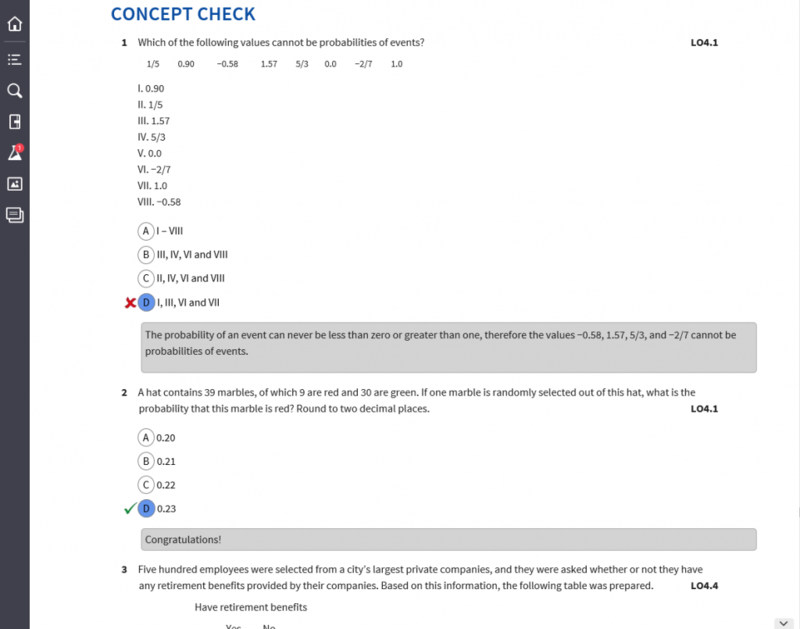 Students can purchase their Business Analytics and Statistics, 1st Edition (Black et al.) from Wiley Direct.